I have a cherry tree. But it is 3 weeks into winter with snow on the ground and more coming. But when my tree produces cherries and are ready to pick in July, I am making this recipe. Looks delicious, delectable,amazingly tasty and I give you 4 thumbs up. Well I don’t have 4 so can you except 2? Yummm! 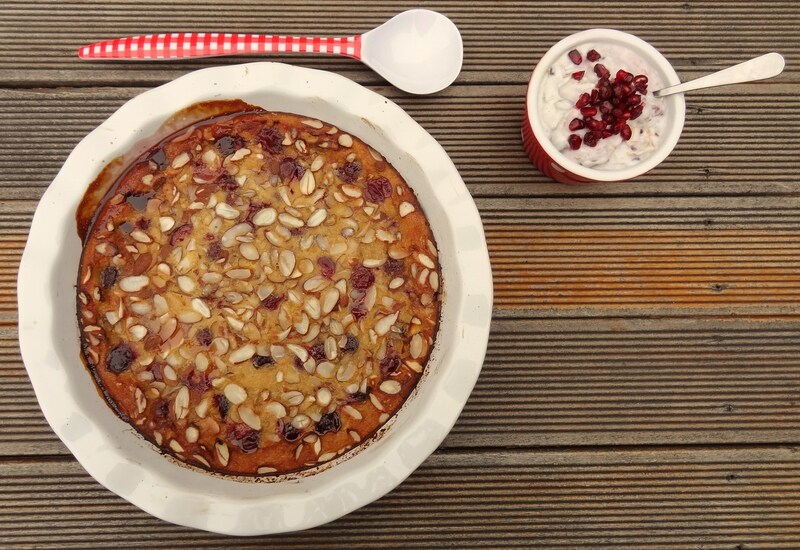 What a glorius almond & cherry clafoutis! I also love your added whipped coconut cream! Double yum! I am also a big fan of coconut sugar. I only use this type of low glycemic & good for you sugar! time to be happy. I’ve read this post and if I could I want to suggest you some interesting things or suggestions. Maybe you could write next articles referring to this article. I wish to read even more things about it! Hi there, thanks for your interest. If you could send me some more information to emilyfrancescajane@gmail.com that would be great. Many thanks, Emily.